There is an incredibly rich array of educational resources on the issue of Genetic Engineering out there. Dozens of organizations have been producing high quality films, publications, advocacy tools and other resources to raise awareness about the impacts of GE on our health, communities and environment. In this section you will find our lists, which are a work-in-progress. 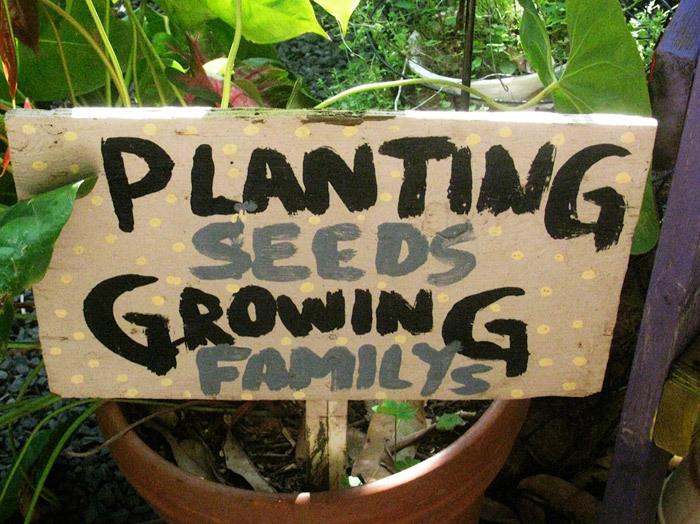 If you would like to suggest a resource to add, please let us know by emailing hawaiiseed@hawaiiseed.org. We are also proud to announce the release of our new edition of the book Facing Hawai‘i’s Future, free for classrooms and educational use. Please be sure to contact us to order your copies in advance. From books to articles and investigative research, you will find a wealth of written pieces that are easy to reproduce and link to about the GMO issue. There are an increasing number of excellent feature-length and short films and educational videos about the industrial food system, agriculture, sustainable farming and genetic engineering. Here is our short list. There a hundreds of organizations working hard to advocate, educate and replicate efforts to create a more sustainable farming and food future. Our list includes state, national and international groups and is always growing. Please send us an email if you would like to see your organization listed. Bringing this discussion into the classroom is one of the best ways to ensure that the next generation is engaged with the concerns, ideas and solutions around genetic engineering. We welcome new suggestions.